Using mVideoPlayer for most of my video watching. I really like it, but one thing bugs me (slightly). Most of the feature films I have on my playbook get identified automatically, and it puts them in the 'Film' section of mVideo's content list, downloads the poster and puts a little synopsis of the film, which is really cool. However, most of the TV shows which I upload are not recognised, so rather than going into the TV section, they just get bundled into 'Others' and have no synopsis etc. I'm not an expert, and actually I'm a little surprised that mVideo has that functionality, since I've never seen it. Nevertheless, I'll take a wild stab at this one. I doubt that the app is getting the media info from the videos title, but rather it's reading the tags associated with the video. I suspect that the movies that you transferred to your PB were ripped from DVDs using software that had the ability to attach the videos tags, while the TV shows that you loaded on your PB were originally downloaded from the internet without any tags associated with them. You can try adding tags to the TV shows to see if that helps. You can access and edit these video tags using Windows Explorer. Using your PC, find a video that you want to edit the tags on. Then, right click on the vid and choose properties, and then click the details tab. From here, you can edit the vid's tags. Does video bookmarks work for you? I'm still saying tags, and FWIW, DVR'd videos most likely do have tags associated with them, at least mine do. Just to prove that it is possible. Sorry about the video quality. That is so odd that if just works in your case. But, at least, we got to see the fickle finger of Pacoman! Thats so weird, but did I just see two native browser icons? I actually have my own thread on this subject but I hate the word expert. This is a two syllable word ex being the first and spert being the second? Spert as we also know is a drip under pressure! Therefore any expert is just "An unknown factor, that's basically a drip under pressure"! Please feel free to discuss this amongst yourselves while I go and sit quietly in the corner? You did. One is the stock Browser app, the other is called Air Browser (not the file manager) that someone extracted , I think, from the BB10 development alpha, and which is essentially identical to the stock browser. I run the stock browser with java and flash enabled, and Air Browser with them disabled, and use one or the other depending on what I want to do. Essentially I've been doing the Fast Browser/Origami thing since before either were released. Where did you get that bookshelf wallpaper? Like it!! Someone posted it here a while back. Maybe look in the wallpaper subforum. But if I rename an unidentified vid to Avatar or Star Trek, I get nothing. Try renaming one of you unidetified TV shows to Star Trek, and see what happens. Just to be clear. To make this work on mine, I have to go to the video information screen for the video. 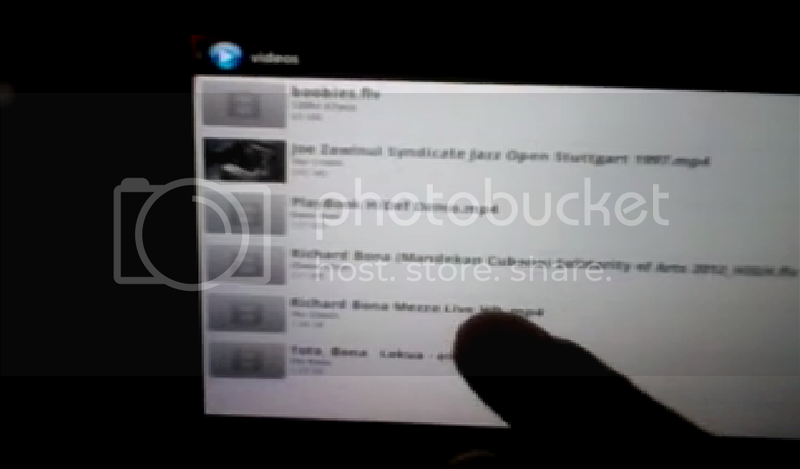 Press the 'menu' button (three horizontal bars in the top right corner of the screen) and select 'Identify Video'. Need to be connected to the internet for it to work. I'll try what you suggest later, and report back. Last edited by ChrisMay; 10-07-13 at 04:32 PM. Ok. That part works for me too. I never used it before. You had me wondering how, if it only used the vid title, how it would distinguish between Batman the movie and Batman the tv show. I now see how it does it, i.e., it doesn't. It gives you both choices and lets you choose the correct one. Do .bkm files get saved to the folder where you have your video? Do video bookmarks still work for you pacoman? They do on my Kindle Fre HD, but not on my Playbook (since I last wiped it, I think). Any word when the Z30 will be out for ATT? Z10 won't read SIM after any update. Will read SIM again after factory reset. Any Canadians willing to buy a Wind Q5 for me? will there be any apps or updates to the bbm layout ? on Q5?